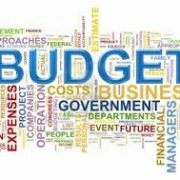 The Chancellor’s 2017 Budget contained some important announcements and confirmed a number of changes planned for the new tax year. There was both good and bad news for sole traders and small businesses in today’s Budget. Following this, we have put together a review which contains the latest tax and financial information, which we trust you will find useful. Please click here to download. Class 4 NICs will increase from 9% to 10% in April 2018, and then to 11% in April 2019 for those earning more than £8,060. Employees currently pay 12%. Class 2 contributions – as previously announced – will be abolished from April 2018. This will affect you if you are self-employed. In addition, Hammond announced that the tax-free dividend allowance – introduced last year – will be reduced from £5,000 to £2,000 from April 2018. This will affect you if you trade as a Limited Company. As plans for Making Tax Digital (MTD), continue apace, Hammond also announced that for businesses with turnover below the VAT registration threshold this will be delayed by one year to April 2019 to allow more time to prepare for the changes. Businesses that have an annual turnover below the VAT registration threshold will have an extra year before they are required to keep records digitally and send HMRC quarterly updates. Those businesses trading above the VAT threshold will still be required to keep digital records and send HMRC quarterly updates from April 2018. The exemption threshold for MTD remains at £10,000. At Liric, we are working on ensuring all our clients have the systems they will need to ensure they comply and there will be much more about this in future newsletters. Following last years Autumn Statement, the government have issued their draft legislation detailing the changes to the Flat Rate Scheme (FRS). These will come into effect on 1 April 2017. 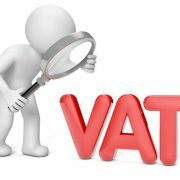 If you are using the Flat Rate scheme for calculating your VAT it’s really important that you read the following information. We will also be contacting you directly if our records indicate that you may be affected by these significant changes. If your business is classed as a “Low or Limited cost trade”, which will probably catch any consultancy based businesses, the flat rate will increase to 16% from 1 April. If your sales are £5,000 the VAT is £1,000, total £6,000 x 16.5% = £990 VAT payable. So HMRC let you keep £10. Compare to the 14% rate and the VAT payable would have been £840, allowing you to keep £160. Please click here for our full factsheet on this important subject and do get in touch with us if you are affected.